Marvel has revealed its plans for the beginning of a new era of X-Men. As teased in recent weeks and confirmed at the Marvel’s Next Big Thing panel at C2E2, Jonathan Hickman will write Marvel’s mutants, but he won’t be taking over Uncanny X-Men or any other ongoing X-Men title, at least for now. Instead, Hickman will write two six-issue X-Men miniseries beginning in July. 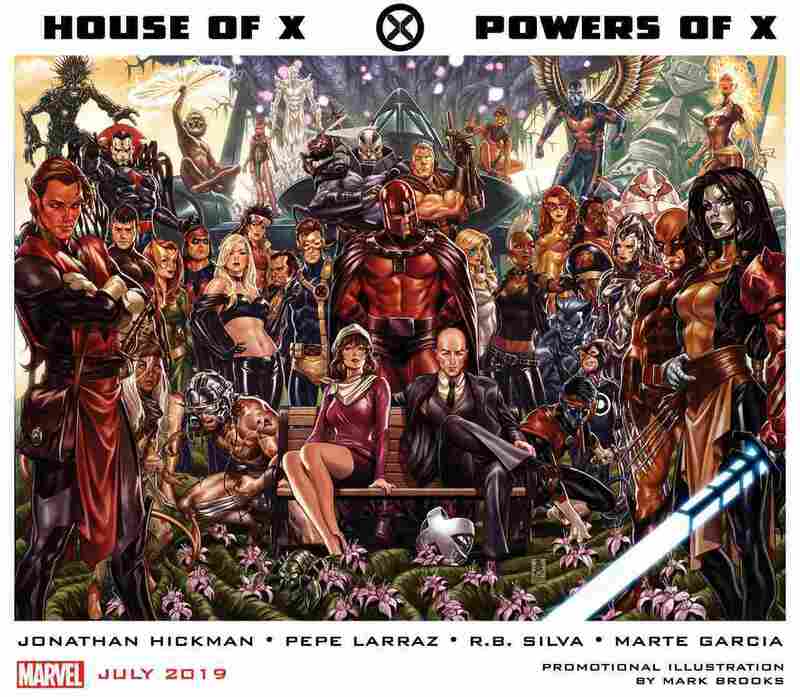 Hickman teams with Pepe Larraz (Extermination) for House of X. He teams with RB Silva (Uncanny X-Men, X-Men Blue) for Powers of X. Both series, along with the War of the Realms event and the upcoming Absolute Carnage event, are leading towards a mystery Marvel event that will launch in December 2019.